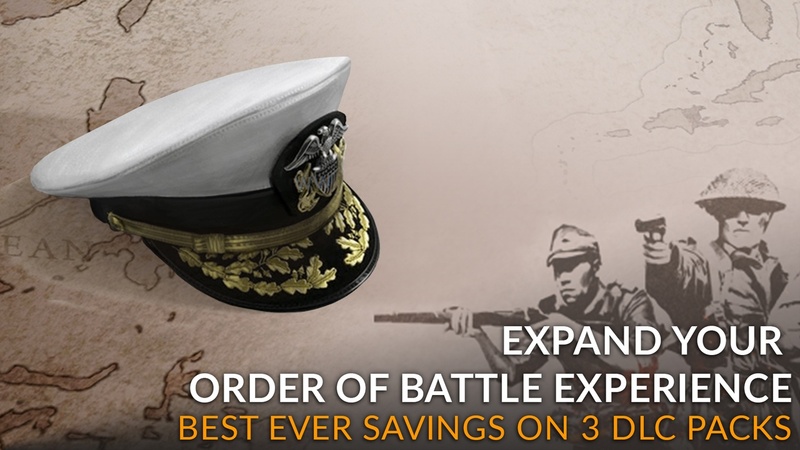 Take wargaming to another level and experience classic turn-based, hex-based gameplay with the Order of Battle Bundle. Now's the perfect time to get best-ever savings and gain access to the free-to-play base game with three additional DLC to aid you in combat. What are you waiting for? Grab this bundle and immerse yourself in a rich 3D world with an intuitive in-game scenario editor, up to 4-player multiplayer support. We have prepared something special for you. Endsieg has a branching dynamic campaign tree which means that the outcome of battles or managing to fulfill certain optional objectives will affect the campaign later on. We have drawn an infographic to show you how the system works! Take a look at some of the new and powerful units the German War Machine would deploy into the battlefield in Endsieg, the latest chapter in the Order of Battle series! The Entwicklung Series specialization represents several new tanks in different weight classes and focuses on the standardization of their design. It reduces the cost of the Panther and Tiger II tank units and allows production of the E-100, a virtually indestructible super-heavy tank. In the battle of Anzio on the Italian front, this 283mm railroad gun will be available to rain death upon the Allied positions. Due to a slow reload the weapon is rather ineffective at destroying enemy units, but its extremely long firing range provides an unprecedented ability to strike strategic targets anywhere on the map. The new Vampir Nachtjäger specialization focuses on infra-red light, which is only visible though special sighting devices. It unlocks the SdKfz 251 "Uhu" halftrack, equipped with a powerful IR searchlight to increase the offensive combat effectiveness of all adjacent German tanks. Through the late-war "Uranprojekt" specialization the Germans gain access to the ultimate weapon: the atomic bomb. While very expensive to produce, a bomber carrying this weapon can evaporate any target on the battlefield. The time to reverse the tide is approaching. Endsieg, the latest chapter in the Order of Battle series featuring the tremendous last years of WWII, will be released next week. On November 13th you will have the chance to relive the massive military operations – in the West as in the East - that ultimately crushed the Third Reich. Or, you can try to fight back with tooth and nails playing on the German side and, with the use of the long-awaited Hitler’s final weapons, break the Allied frontlines and repel them from the Fatherland! Victory or Death! Order of Battle: Endsieg is out! The latest expansion for the Order of Battle saga is out! Endsieg brings you to the last two frantic years of war, where you will fight on the German side. The expansion is the third of a trilogy: you started the war in Blitzkrieg, and then fought against the Russian bear in Panzerkrieg. Now you can carry-over your core force to a new campaign and finish what you started. It wlll be a desperate struggle to contain the Soviet advance in the east as well as the Allied offensive in the west, and you will need all your leadership and planning skill if you want to hold on your conquests. Endsieg features a 16 scenarios long branching campaign - get ready for a few surprises! Will you be able to change history? It is a real must-have for all Order of Battle fans, also introducing new specialization options for Germany as well as over sixty new unit types! Endsieg will be featured in today's stream by none other than general Agrippa Maxentius. Tune in at 6 pm GMT on our Twitch channel and stay with us! Order of Battle is coming to console! That's right! You might have but now it's official: Order of Battle is coming to console. After three years and a half of development, Order of Battle is currently one of the biggest wargames available: thousands of unique units, hundreds of scenarios, many different playable factions, the ability to fight on many fronts of WW2, from the Pacific Ocean to Russia, from Finland to Burma. We are glad to be able to port this huge game to console. It will be the first wargame of this kind available on console, and it will sport a brand new UI adapted to console gaming. Order of Battle: World War II will be released on console as a premium game, containing the base game plus all contents from the U.S. Pacific DLC. All other DLCs will be released at the same time as the base game, for a truly staggering amount of content! Order of Battle: World War II will be released on PlayStation 4 and Xbox One later this spring. Stay tuned for more information! ***IMPORTANT MESSAGE - Actions to take in order to secure XP and CXP!! !